The Terrain is an IP65 rated LED luminaire which is durable and weatherproof with a slim, low profile design for a contemporary look. The Terrain is ideal for wet or dusty environments including plantroooms, food processing, cold storage, kitchens, swimming pools, parking garages, car washes, pedestrian tunnels, concourses and industrial units. The Terrain range is particularly suited for use in the following applications and environments. 80% of initial lumens maintained after >70,000hrs, 10% of luminaires will have less than 80% of initial lumens after >70,000hrs. 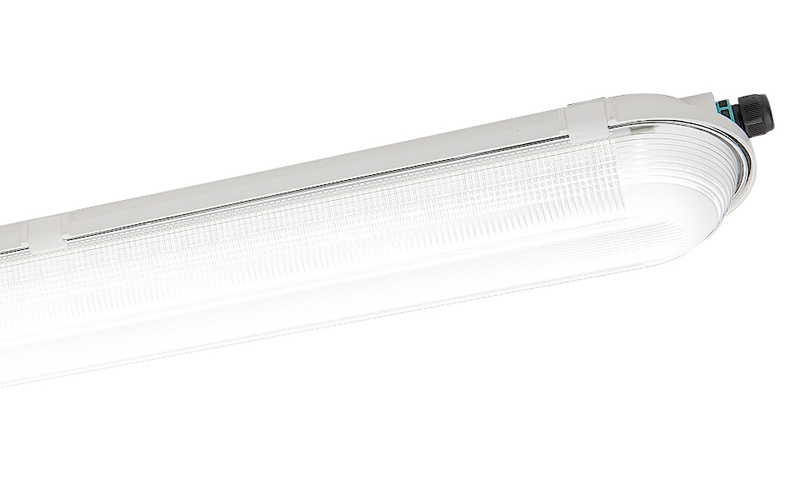 Alternatively, 90% of luminaires will have maintained 80% of initial lumens after >70,000hrs. Download Terrain Photometric Data in EULUMDAT (ldt) format suitable for use in lighting calculation software such as DIALux and Relux.